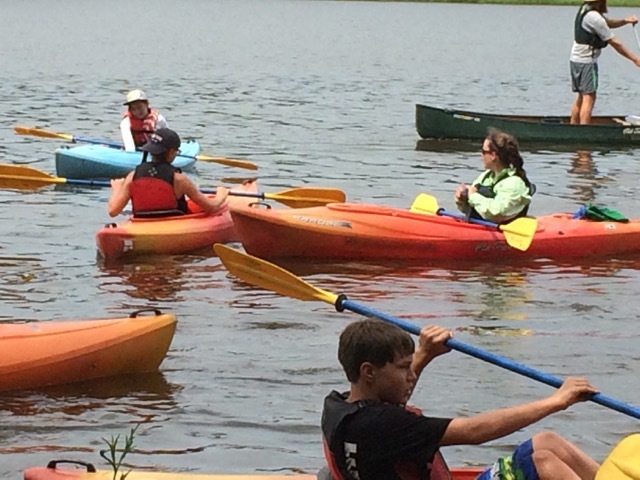 Join FOR’s Education Director and Education Coordinator for a family-friendly paddle on the tidal Rappahannock! We will launch into the main stem of the Rapp from Port Royal Landing in Caroline County and explore the nearby Port Royal Unit of the Rappahannock River Valley National Wildlife Refuge by boat and on foot with fun educational activities on the way. Ages 8 and up (with adult) welcome! Dress to get wet. Bring lunch, lots of water, sunscreen, and a hat. Note: We will be paddling against the tide for part of the day, which can be strenuous. 8am-noon.